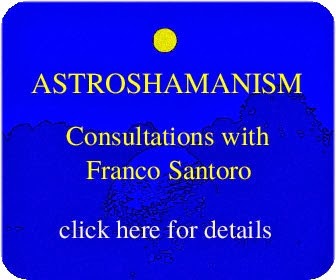 There are 22 Major Arcana, as there are ten astrological planets and 12 zodiac signs. Mars, the ruler of Aries and Scorpio, is associated with the Tower, the 16th trump of the Major Arcana, immediately following the Devil. 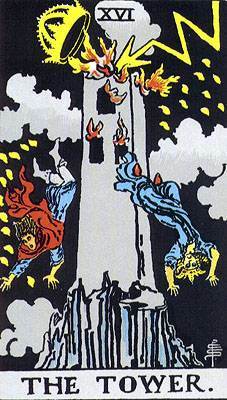 In the Rider-Waite-Smith deck, the card depicts a tower hit by a flash of lightning, which causes the crown at the top to fall and the building to catch fire. Two figures also fall from the top of the tower. 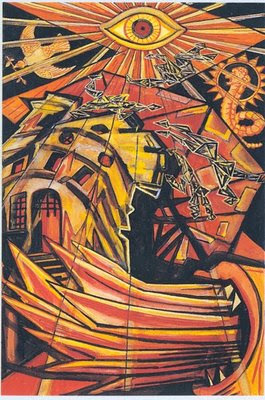 From a biblical perspective this card evokes the story of the Tower of Babel, when God confounds the languages of mankind because he is disturbed that they want to build a tower aimed at reaching the stars, and also the expulsion of Adam and Eve from the Garden of Eden. As a result, depending on the understanding of these most crucial episodes the Tower takes radically different meanings. On the one hand the Tower depicts human pride and vanity, the act of rebellion against God, the ego conception of life and the materialistic perception of the universe. On the other hand it identifies a subtler scenario, featuring the human attempt to step out of a separated reality by re-building the axis of the world that connects heaven and earth, and the reaction of an abusive god. The following story found in Genesis 11:1-9 discloses both meanings, as well as a third element, which in the end is the true and unmentionable mystery teaching of the Tower. Traditionally this card, along to the Devil and Death, is not particularly welcome in readings. It gives an immediate sense of falling apart, shocking developments and sudden failures. In this respect the Tower portrays the crumbling of deceptive attachments and the abrupt, often traumatic, unveiling of what is beyond such illusions. Here the Tower represents the ego and its identification with our human arbitrary configuration right at the moment when all falls apart. The destruction may result in actual and acute outer misfortunes: your partner leaves; your business crashes; your best friends turn against you, something you treasure is destroyed, etc. Or perhaps there is only little happening outside and yet this triggers a tremendous devastation at an inner level. The Tower can confront us with a climax of demolition, in which disasters appear to come as an ongoing procession. Everything was “fine” before and then suddenly a dramatic course of events takes over. And yet all this “fineness” was merely a layer of lies we were telling ourselves or others were telling us, a way of neglecting or denying what was happening, which when the Tower strikes blows up in our face. Yet, what truly suffers with the Tower are peripheral parts of our being, illusory shells, whose destruction, however painful, creates space for a deeper essence to emerge and ideally expand. Hence, the blessings that this process generates are often acknowledged later in time, once the tempest is over. The Tower also exemplifies the strenuous human investment of energy into maintaining self-importance, the obsessive focus upon the way we present our identity to the world. Stone by stone we construct our social image, embellishing it with places, things and people that fit with the idea we long to communicate to the world. Here the Tower represents our strife to stand within the human arbitrary configuration. Then something takes place that smashes our delusory world and the Tower falls to pieces, often revealing a most surprising scenario. For many seekers on the path revelation comes as a shattering thunderbolt which devastates the hallucination of ordinary reality in a blink of an eye. The understanding suddenly reaches us and from that moment onwards life takes a radically different course. After many years of aspirations, wishes, delays, resistance and preparation, it finally happens! Everything occurs in that decisive instant, which we can either fully embrace or disregard and perhaps miss forever.